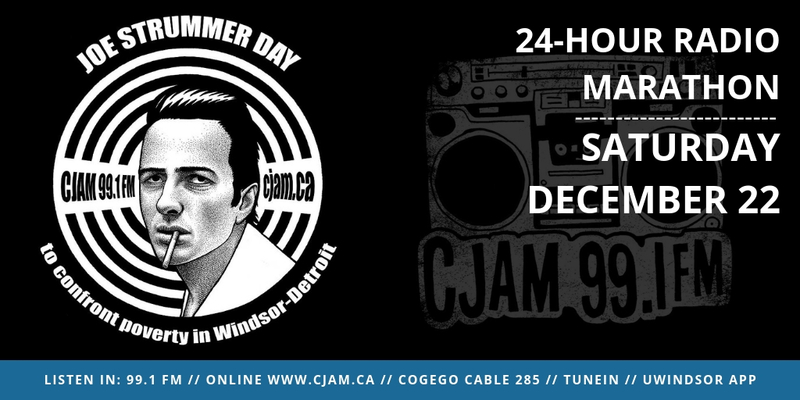 CJAM’s 9th Annual Joe Strummer Day and 16th anniversary of Joe Strummer’s passing strives to focus on poverty issues, homelessness, and calls to action in the Windsor-Detroit community and beyond. MIDNIGHT to 2AM: Joe Strummer Day Kickoff! Station Manager Brady Holek kicks off Joe Strummer Day with rare cuts from Joe Strummer & The Clash, and an overview of what CJAM has in store for the rest of the marathon. 5AM to 6AM: No Thank You! Hosts Micaela & Melissa (hosts of No Thank You) discusses poverty issues from a women’s and feminist perspective. Join Willy Wilson (host of The Motor City is Burning & Friday’s at the Hideout) for some very rare Joe Strummer related material. Willy has been digging through his archives for interviews with Joe, as well as unreleased recordings from The Clash in Detroit and other Strummer surprises. Joe (host of the Best Show Ever) rounds up his best of the worst Clash tunes. Cam Wells (host of Handi-Link) discusses poverty issues within the disability community, with a focus on Aboriginal and Muslim communities, with a variety of different interviewees. Al Teshuba, Christine Brooks, and David Sundin (hosts of Windsor Inside Pulse) speak with Ron Dunn, Executive Director at the Windsor Downtown Mission on poverty issues, dental health, and the extreme need for an uptick in funding for homelessness and poverty resources. Brady (host of Music from Planet Earth) speaks with Fiona Coughlin, Executive Director for Habitat for Humanity Windsor-Essex, Jenny Diep, a Registered Nurse and Health Promotion Specialist for the Windsor-Essex Country Health Unit on secure injection sites, a representative for the University of Windsor Campus Food Pantry. Carley (host of Everything’s No Good) speaks with Christopher Ivey of Forgotten Harvest. Get filled in on everything that’s happened on Strummer Day so far with Lauren Hedges (host of Rummage Radio) and take a look forward to the rest of the day’s programming. Not to mention, rare tracks from the Strummer catalog and some surprise covers! Carley speaks with Stephen Lynn, Social Planning Coordinator with the City of Windsor. Stephen is also responsible for the City of Windsor and County of Essex Social Investment Plan, Pathway to Potential. They speak on poverty issues in Windsor-Essex County and how P2P has changed since the council decision in 2017. Dave & Adam (hosts of Revolution Rock) speak with Dayna Cornwall, Project Coordinator at the National Self-Represented Litigants Project (NSRLP). They discuss how the NSRLP provides resources for people need of legal representation, their objectives, and other options available in relation to poverty issues in Windsor. Join your host Taya as she presents fantastic covers to re-create The Clash  and London Calling  album track by track. Carley speaks with Mahwish, Regional Manager for Nisa Homes Windsor, and features an interview with Lady Laforet, Executive Director at the Welcome Centre Shelter for Women & Families. Brady interviews Anthony Davie, author of the new publication “This is Joe Public Speaking: The Clash, as told by the fans”. Carley speaks with David Ross, author & “poet”, on his work and involvement with the new publication “Ashes to Activist”. Patrick (host of The Chill) explores the reggae influence of The Clash and focuses on the reggae & dub versions of Clash songs, as well as original tracks that were covered by The Clash. Join Adam & Dave (hosts of Revolution Rock) for a special two hour episode focusing on selections from the recently released Joe Strummer 001 Box Set. They also feature a collection of various live recordings from Joe Strummer’s solo career and other tracks from soundtracks he was a part of. Carley interviews Val, Youth Coordinator Facilitator at the Windsor Youth Centre. Val speaks on issues with youth poverty in the Windsor area. The Windsor Youth Centre is the only drop in community centre for homeless and at-risk youth in the Windsor-Essex area. Brandon & Graham (hosts of Magna Carta: Pro Bono Radio) interview two students involved with the Pro Bono Students Canada project who are working directly with the Windsor Downtown Missions. Speaking from a learning and legal perspective, they provide a student and behind-the-scenes look at poverty at the ground level in Windsor. 10PM to MIDNIGHT: Joe Strummer Day Closer! Program Director Carley returns to close out the 24-hour marathon! Get to know…The Urban Flow! Check out our “Meet a Jammer” series! 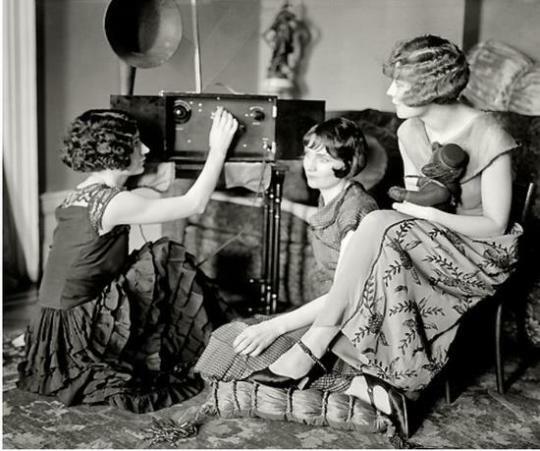 // How long have you been involved with CJAM / campus-community radio? I started volunteering here during my high-school co-op. It’s a mix of funk, soul, and jazz spanning from 60’s to present. // What is your favourite topic of discussion? I love discussing the roots of music, early music history, and artists influence on current artists and musical trends. good food and great music. // Who do you need to see perform? // What do you love most about CJAM FM? I love the fact that I am able to showcase a variety of artists that normally don’t get a lot of airplay. This allows me to expose the listening audience to music they may have otherwise missed or not heard. It also often times answers the question that many of us have: Who was this sampled from?? // Anything else you’d like to add? 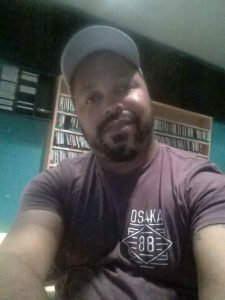 Want to listen to The Urban Flow? on our livestream, Cogeco Cable 285, on the Uwindsor app or TuneIn app. CJAM is hiring for the summer! 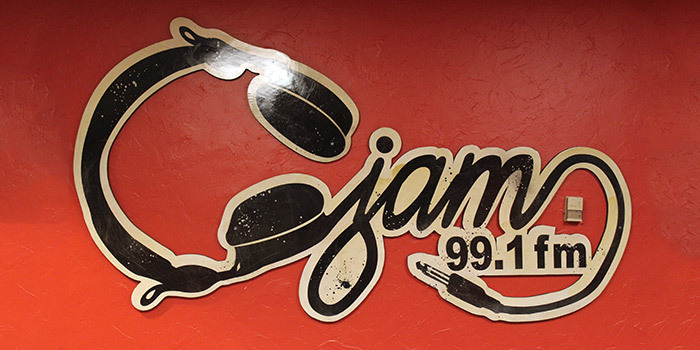 With the support of the Community Radio Fund of Canada’s “Youth on the Air” program, CJAM 99.1 FM is seeking applicants between the ages of 16 and 30 for a Community and Campus Outreach Coordinator. This is a contract position that will run between May 4, 2015 to Oct. 30, 2015 with a gross salary of $9,000 for that period based on a 30-hour work week. Regular evening and weekend work will be required. The focus of the project will revolve around the creation of two weekly radio programs related to community based music news programming as well as campus events and topics surrounding the University of Windsor. The program would feature coverage and promotion of live and local events in Windsor and the surrounding areas. Producing exclusive interviews with area musicians would be a large focus for the intern and would bring the public interest to not just this show but to other shows on CJAM. The campus focused show would hone in on campus living, events, and news. The intern would also be speaking with and interviewing interested professors, administration, alumni, and interesting persons pertaining to campus life. Partnering with other sources on campus such as the Womyn’s Centre, UWSA, The Lance, and other organizations, part of the intern’s responsibilities would be to create news ideas and content for our website, Facebook, instagram and other social mediums, including our weekly news program, The Windsor Chronicle. The intern would also be responsible for researching content through a variety of mediums, not limited to web, text, visuals, and word of mouth. The intern will also be assigned to other duties as required under general direction of CJAM staff. • Excellent interpersonal, communication and listening skills. • Knowledge relating to non-commercial music, news, views, culture, and campus life. • Computer and basic radio/audio production skills. • Management and/or Volunteer coordination experience a plus. SALARY: $9,000 over the contract, which will run from May 4, 2015 to Oct. 30, 2015. Please apply online to Station Manager Vernon Smith at statcjam@gmail.com by 5 PM, April 27, 2015. Only qualified applicants selected for interviews by the Hiring Committee will be contacted. CJAM is an anti-sexist, anti-racist, anti-homophobic organization committed to diversity and equity. We encourage applications from all visible and non-visible minorities. Where there is equity in qualifications preference will be given to minority applicants. With the support of the Government of Canada’s Summer Jobs program, CJAM 99.1 FM is seeking full time student applicants between the ages of 16 and 30 who are planning on returning to school in September for a Summer Cultural Events Coordinator. This is a contract position that will run between May 4, 2015 to June 22, 2015 with a gross salary of $2,640 for that period based on a 30-hour work week. Regular evening and weekend work will be required. The Summer Cultural Events Coordinator will liaise with local summer festivals to coordinate CJAM’s role in promotion of festivals and as sponsor. The Coordinator will create a “2015 CJAM Festival Guide” to cross promote area festivals and CJAM’s role as campus and community radio station. The Coordinator will attend festivals and special events as a CJAM representative and inform Windsorites and Detroit residents about CJAM programming and promotional opportunities available to them, and encourage them to investigate how CJAM might be able to serve their needs. Technical aspects of the position include writing, editing and producing on-air spots in conjunction with the CJAM Program Director, on-air programmers, producers and sponsors. Recording interviews with promoters, bands, and technicians will be used on the weekly local events program “Stagediving Live”. 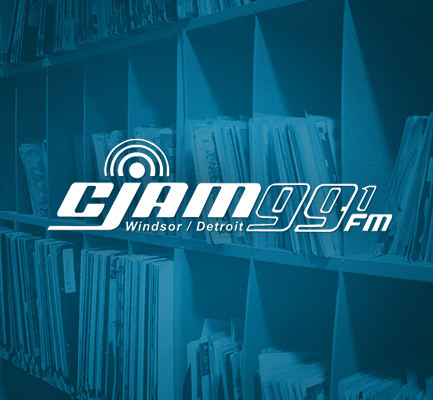 Use of CJAM’s website and social media to promote festivals and events around Windsor and Detroit will also be a priority. The Coordinator will also recruit, train, and organize CJAM volunteers to attend festival booths and provide community outreach training for participating volunteers. • Knowledge relating to non-commercial music, news, views, and culture. SALARY: $2,640 over the contract, which will run from May 4, 2015 to June 22, 2015. With the support of the Community Radio Fund of Canada, CJAM 99.1 FM is seeking applications for two part-time Volunteer Coordinators. As this grant will place a staff member at CJAM seven days a week, regular evening and weekend work will be required over the one-year period of these contracts. Two Volunteer Coordinators will work with CJAM staff to bring new volunteers into the CJAM 99.1 FM organization, training them in CRTC and CJAM policy and regulations and preparing them for starting their own radio programs. The successful candidates would also further the learning process with our existing volunteer base by conducting workshops, bringing the membership up to speed with new developments, changes in regulations, and an introduction to new and existing technologies. The two Volunteer Coordinator positions (one focusing on the CJAM population at large and the other focusing on our Ethnocultural and Third Language base) will allow for a more dedicated volunteer recruitment process across the board. This would help to further diversify CJAM, and will allow for two positions dedicated to one-on-one time with programmers, particularly new programmers and programmers struggling with basic requirements. That will bolster the development of programmers by improving their skills and widening CJAM’s resource base. This will also ensure that attention is spread out evenly to both its programmers at large and specialty programmers dealing with ethnocultural and third-language programming. •	Excellent interpersonal, communication and listening skills. •	Demonstrated experience, and knowledge relating to non-commercial music, news, views, and culture. •	Experience in journalism and new media. •	Strong organizational and time management skills. •	Conflict resolution and management skills. •	Computer and basic radio/audio production skills. •	Friendly and patient disposition balanced with an ability to enforce policy. •	Management or Volunteer coordination experience a plus. SALARY: $13,500 over the one-year contract. Please apply online to statcjam@gmail.com by Nov. 7, 2014. Only qualified applicants selected for interviews by the Hiring Committee will be contacted. CJAM is an anti-sexist, anti-racist, anti-homophobic organization committed to diversity and equity. We strongly encourage applications from all visible and non-visible minorities. Where there is equity in qualifications preference will be given to minority applicants. Celebrate our 30th on Friday, November 15th at The Loop! 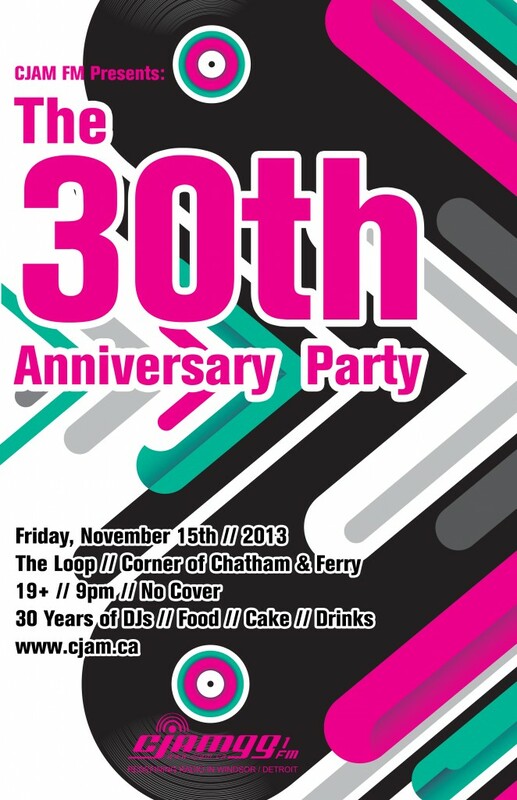 CJAM is celebrating its 30th year on FM and we want YOU to be there! Hear music from DJs spanning all 30 years of broadcasting! Food! Cake! Drinks! Raffles! Music! Friends! Who could ask for more!? No Cover, but donations to our annual pledge drive are welcome. Measured In Angles Reunites For CJAM This Saturday! Measured In Angles returns! For one night only! They topped our charts with both of their albums and were voted best local band at the Jammy listener choice awards, twice! Hard hitting instrumental post-rock! The CJAM 30th Anniversary Concert Series proudly presents Measured In Angles in their first performance in almost 5 years! Join us on Saturday, November 2nd at the FM Lounge at 156 Chatham Street West, here in Windsor for night of instrumental rock music. 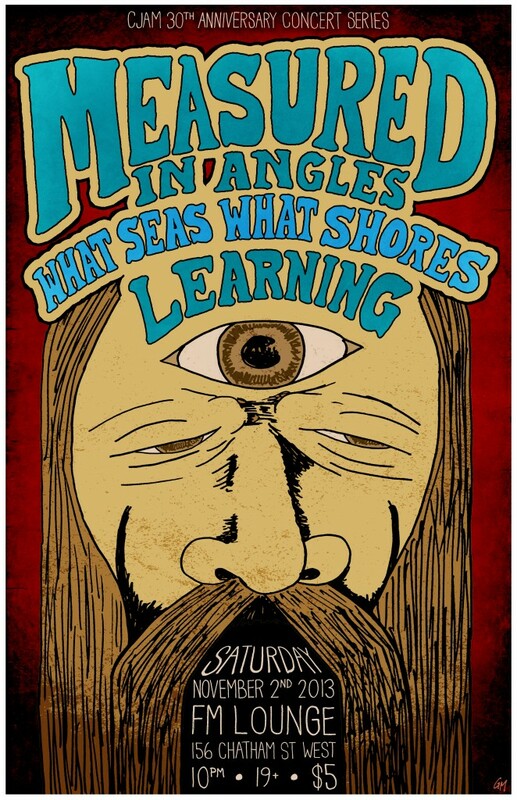 Opening performances from What Seas What Shores and Learning! Cover is only 5$ with proceeds going to CJAM’s Annual pledge drive! Measured in Angles for CJAM’s 30th! Don’t miss it!